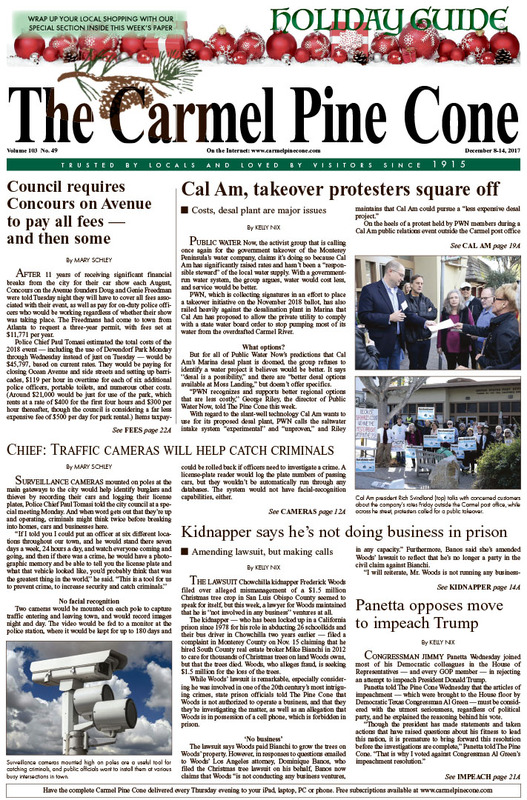 With petitions circulating to get started on a government takeover of Cal Am, the lines are starting to be drawn between the water company and its opponents -- and nowhere was that more evident than on the street in front of the post office last Friday. But what does all this bode for the future of our badly needed water project? ... more preview.